We are a multi-generational ensemble with diverse experience including water play, technology, engineering, design, fabrication, marketing, and more. Since she was 7 years old, Denise has been developing innovative entertainment attractions, gaming experiences, storyworlds, toys, and waterplay concepts for families around the world. Creations with her trademark spin on story-rich play and immersive technology can be found at major theme parks and family entertainment facilities worldwide. Denise is the inventor of over 120 patents including MagiQuest and other award winning inventions. Denise’s next evolution is the creation of Infinite Kingdoms an invention company merging live attraction settings and retail, toys, and wearables to create engaging multi-generational, multi-platform experiences. Her next adventure includes engagement experiences that extend her original technology around interactive “magic” as well as the creation of sustainable play attractions that invite the earth to join us in achieving Zero Net! Rick has been creating some of the most fun, interactive and immersive experiences for kids and families for over 30 years. He began with waterparks where he created Interactive WaterPlay and the Giant Dumping Bucket, which is currently in most every waterpark around the world. He then began building theme park and FEC attractions such as the Foam Factory which is in many theme parks throughout the U.S. Next, he began co-creating with his partner, Denise Weston to build technology driven attractions such as MagiQuest, Slideboarding and many more. Today, he holds more than 75 patents and consults with various entertainment companies to continue creating new fun and highly interactive products in the waterpark, theme park and FEC market. Brian Morrow has a passion for turning ideas into a living, breathing entity, from creative concept through execution. Brian has an international reputation as an established Project Principal, Executive Producer and Creative Director with a clarity of vision and a proven success record of projects. With over 22 years of theme park projects and entertainment design experience, Brian has created and seen the opening of a wide range of multimillion-dollar, award winning projects. Brian delights in projects that combine strong storytelling with technology, to inspire guests to connect to each other and the planet. From show-set design to world-building, Brian’s project successes in rides, attractions, shows and entertainment include work at Disney’s Animal Kingdom, SeaWorld Parks, Busch Gardens, Discovery Cove, Sesame Place, Lowry Park Zoo and West Palm Beach Zoo. A seasoned turnkey design professional, Brian manages and produces every aspect of a project including strategic planning, feasibility, owner representation, concept development, design development, on-site art direction, project commissioning and operational handover. A skilled architectural artist and creative idealist, Brian finds imaginative solutions for complex problems and moves ideas from impossible to extraordinary. His passion is to use design to create strong emotional bonds between the guest and the brand, building loyalty while creating lifetime memories. Janelle Picard is an independent Producer & Creative Director based in Orlando, Florida. Her career path has developed a broad understanding of art and technology in graphic design, animation, and production, now supporting her work in the development of themed attractions and environments. As a Creative Manager for SeaWorld Parks & Entertainment in Theme Park Development, she oversaw and contributed to the theming of major attractions from initial concept through opening. Recently completed projects include Infinity Falls at SeaWorld Orlando, 2018; Battle for Eire at Busch Gardens Williamsburg, 2018; InvadR™ at Busch Gardens Williamsburg, 2017; the Dolphin Nursery at SeaWorld Orlando, 2017; and the media package for Antarctica: Empire of the Penguin at SeaWorld Orlando, 2013. She is a graduate of Bowling Green State University and a member of the Themed Entertainment Association and Harriet B's Daughters. Mike was once a trained geneticist and immunologist, so he understands that fun and excitement resides in the genes, and is waiting to be expressed! He subsequently evolved into an intellectual property attorney for high-caliber law firms, and for 18 years has collaborated on inventions in the entertainment world, including technologies underlying immersive entertainment experiences, recognition and tracking technologies, and motion-activated game play. He has helped client procure intellectual property in the entertainment and amusement park attraction space, develop, license, and commercialize these technologies into revolutionary experiences, and enforce rights to protect market space. Mike relies on his vision and creativity to help teams find practical and functional solutions to problems, and build robust portfolios of innovative and valuable property rights. As a Creative Director and a licensed architect, Adam McIntyre leads a gold-star team of artists with an immeasurable myriad of experience. Under Adam’s leadership, he and his team direct a broad range of fabrication and installation techniques from CNC cutting, welding, sculpture, murals and innovative carpentry. Adam is one of four partners currently in transition to own Weber Group over the next several years. He is our leading creative mind and master story-teller with decades of experience in the entertainment industry. Adam also oversees all design initiatives for the development and installation of Crayola Experiences nationwide. He’s throughly experienced in every stage of the intricate and multi-faceted design process; from storyboards and conceptual art to detailing and specifications for some of the industry’s most notable clients including Merlin Entertainments, Great Wolf Resorts, Nickelodeon, Lego, Paramount and Herschend Family Entertainment. Jim Doiron is one of four partners currently in transition to own Weber Group over the next several years. He came to Weber in 2010 and quickly worked his way up from Shop Artist to the Director of Specialty Fabrication. Jim has a unique ability to understand what it takes to build unconventional elements and the artistic vision needed to execute larger than life projects. This combined with his artistic background, construction experience, and natural leadership abilities, allow him to be a driving force behind the growing success of Weber Group. Jim’s professional background includes 16 years of experience as a site supervisor and project manager in the construction industry. Jim Doiron holds a Bachelor of fine Arts from the University of Louisville and had his first solo exhibition in Louisville in 1997. Jim has subsequently shown regularly in cities from Detroit, Michigan to Dublin, Ireland. In 2000, Jim was awarded an internship at the Peggy Guggenheim Collection in Venice, Italy and invited to return the following year to work at the internationally renowned Venice Biennale Exhibition, American Pavilion. In 2004, he studied at the Chautauqua School of Art and returned the following years an administrator. David is passionate about energy and the environment and is committed to making positive impacts. As a Professional Mechanical Engineer with over 20 years of experience in clean energy innovations and power systems technologies, David offers a depth of experience in portfolio and project management, product development, technical business development and Systems Engineering. David serves as the principal consultant at SoftPath Innovations providing leadership, intellectual property management and systems engineering support to clients to early stage companies focused on clean energy technologies. Recently, David served as the Director of Product Development at Instream Energy Systems where he was responsible for the development of a disruptive hydrokinetic turbine system for freshwater and marine applications. He also sits on the board of advisors for Plasmatic Technologies developing an enabling platform for the connected smart home. David’s former experience includes developing a grid modernization business unit for BC Hydro’s subsidiary Powertech Labs, where he managed a portfolio of projects focused on renewable energy power systems, electric vehicle infrastructure and smart grid applications. He was also a co-founder of Cellex Power Products, Inc., which introduced the world’s first commercial hydrogen fuel cell products to industrial markets. David holds 7 US patents for his development work in hybrid power systems. As an entrepreneur and engineer, Dan leads product and business development projects through Byway Lab, an agile firm leveraging interdisciplinary teams. After building several service businesses in Ottawa, he entered the attractions As New Product Manager and Design Lead for WhiteWater designing projects that were sold and deployed in multiple venues and countries worldwide. Since starting Byway Lab in 2017, he has enabled 2 product launches and 3 business launches in a variety of industries including consumer products, consumer services, and entertainment attractions. Growing up in the theme park entertainment industry, Jesse has been learning about the magic involved in theming and story telling her whole life. 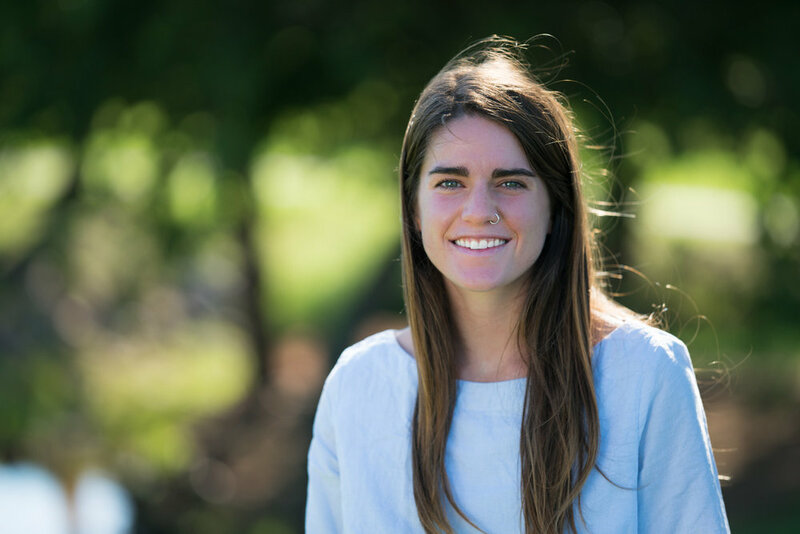 Graduating from the University of Oklahoma with a BA in Visual Communication, she ventured out into the world of costume design at Madame Tussauds in London and Weta Workshop in Wellington. 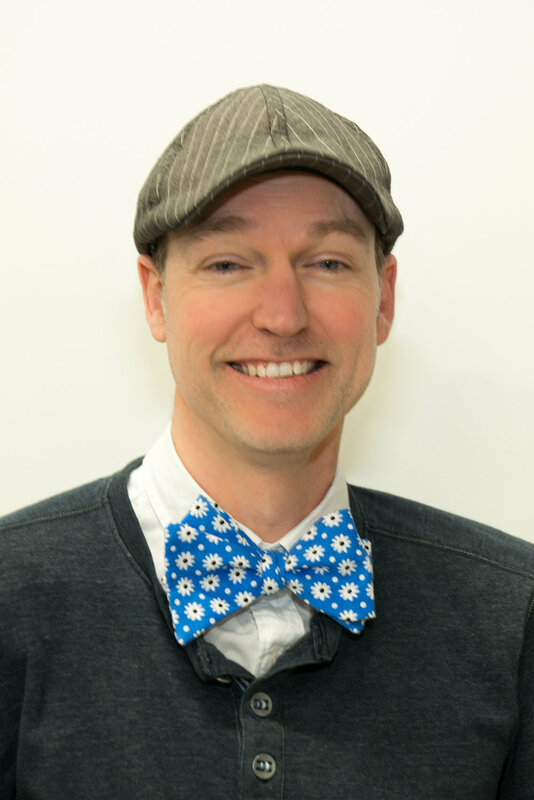 Now joining the marketing team for Impact Attractions, Jesse is passionate about bringing wonder and joy into our accessible world while contributing to the importance of play in our every day lives.